i love that so many toys and characters from the 80s are totally cool again. my little pony? 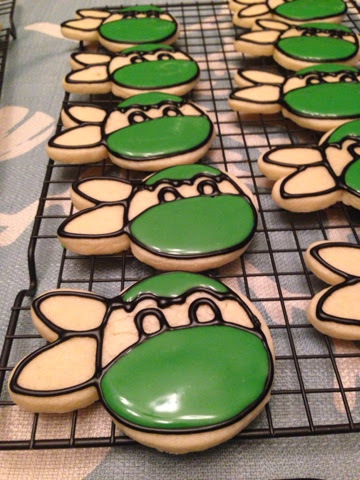 teenage mutant ninja turtles? strawberry shortcake? it's like i'm 10 again. 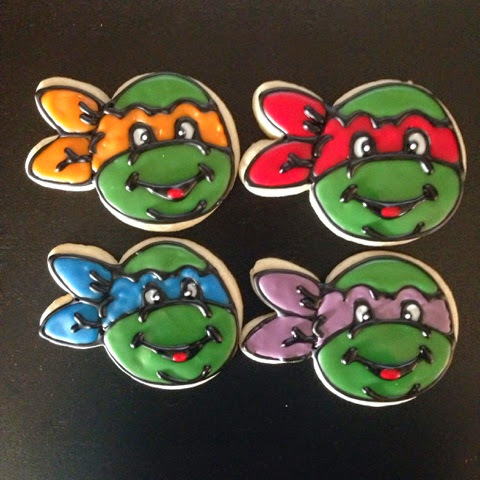 i did TMNT-themed cookies for my friend mommybelle last year, but they were simpler - pizzas to represent the turtles' favorite food. 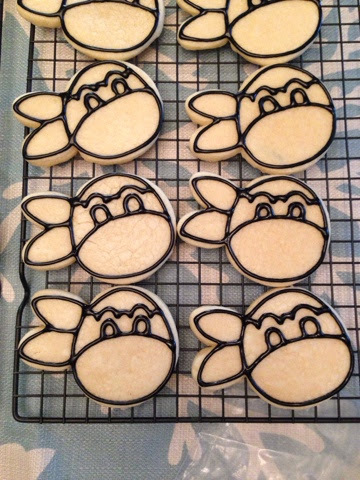 this time, when i was asked for cookies with a turtles theme, i went all out. 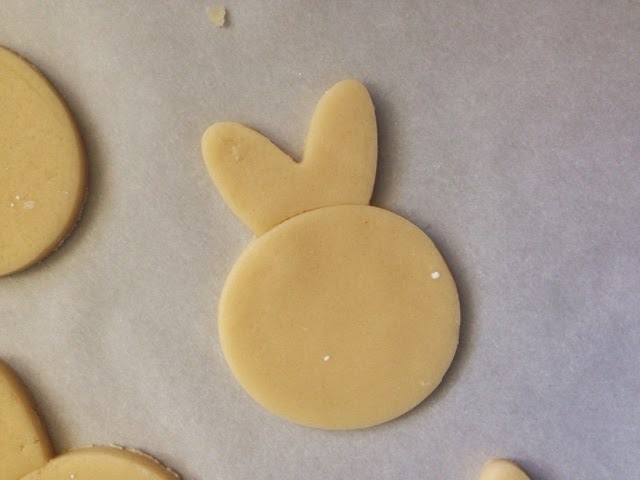 after perusing some other ideas via google images, i got my black icing out and started the outline. 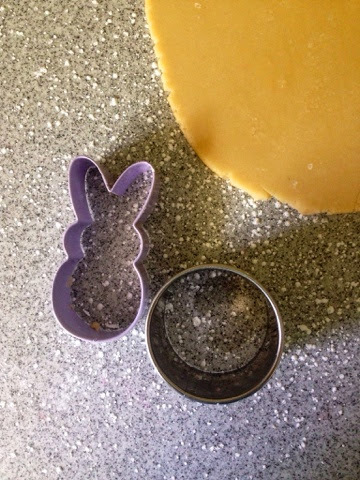 with the bean's help, i achieved the perfect green for the face and started filling it in. they looked great all wrapped up and tied with matching ribbons. Another testament to your talents! well hey elsa, how you doin'? 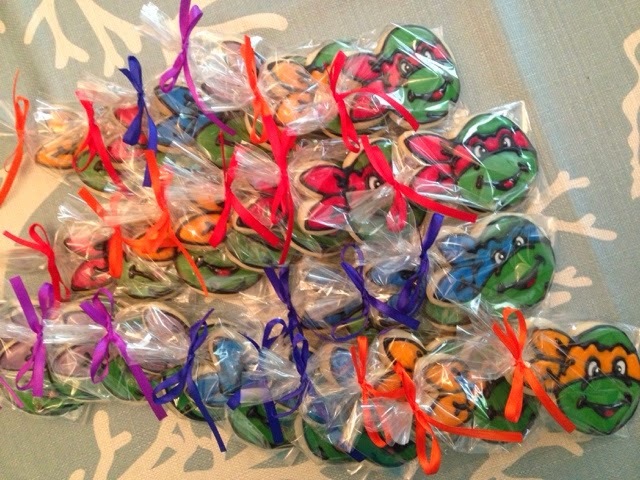 can you handle more cookies? old cheer. no cheer. future cheer.